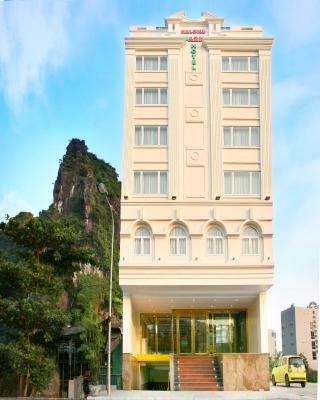 Lock in a great price for Ha Long Park Hotel – rated 8.5 by recent guests! Location to city park and sea shore was great. Room was nice. Easy access. Great staff, we arrive very early in the morning, so we couldn't make the check- in, but they offered us free breakfast :) The room and toilet were big and very clean. The location is nice. 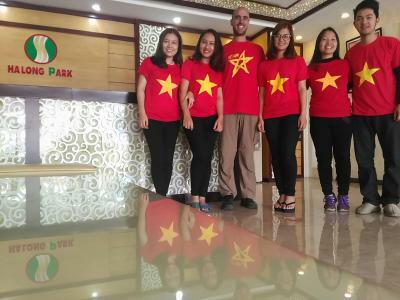 The staff speaks very good English and help us a lot. 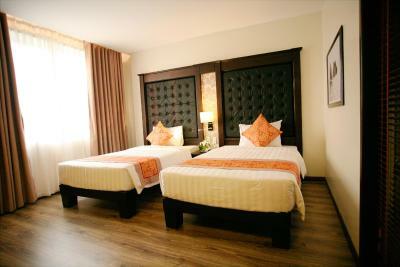 Very spacious comfortable and clean room nice big bed. Stuff is very nice and friendly even with no much language they help a lot. Incredibly friendly staff. Extremely clean and comfortable. Beautiful view from room. Five minute cab from Bai Tu Long boat port. They let us keep our motorbike in the hotel parking garage while we were on the bay for three nights- SO HELPFUL! 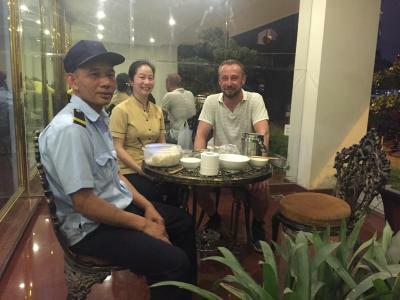 Excellent private van shuttle service to and from Hanoi airport. 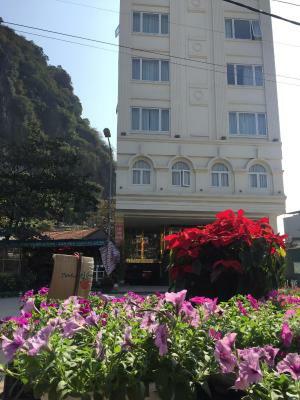 The hotel overlooks Halong Bay and is located in the quieter and older part of the city. The front desk staff were very nice, but are limited in their English speaking skills. The free breakfast on the 7th floor overlooking the harbor was modest, but adequate: Omelettes, toast, juice, fresh fruit, tea and coffee. The rooms were modest, yet very clean. The hotel provided us with an excellent English speaking guide, Veronica, who took us on a free private morning tour to the temple, the harbor to watch the returning fishermen, the different markets and the quay. She was excellent and the tour was a delightful way to spend the morning before our cruise departed at noon. The room price is very reasonable. Outstanding value for the money. 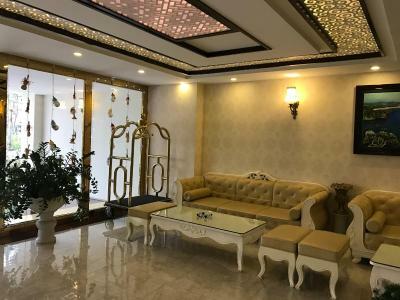 Ha Long Park Hotel This rating is a reflection of how the property compares to the industry standard when it comes to price, facilities and services available. It's based on a self-evaluation by the property. Use this rating to help choose your stay! One of our best sellers in Ha Long! 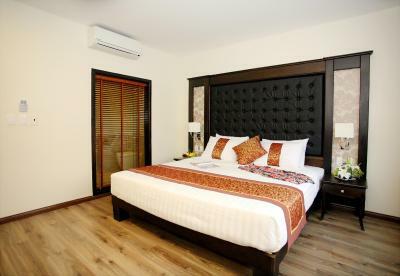 Located an 11-minute walk from Vincom Plaza Ha Long, Ha Long Park Hotel in Ha Long has a garden and shared lounge. This 2-star hotel offers a 24-hour front desk and a shared kitchen. The property has room service, and buying tickets for guests. Quang Ninh Museum is 0.7 miles from the hotel, while Queen Cable Car Station is 1.7 miles away. 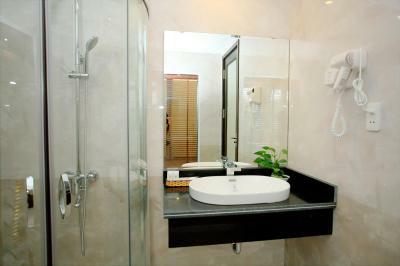 The nearest airport is Cat Bi International Airport, 47 miles from Ha Long Park Hotel. 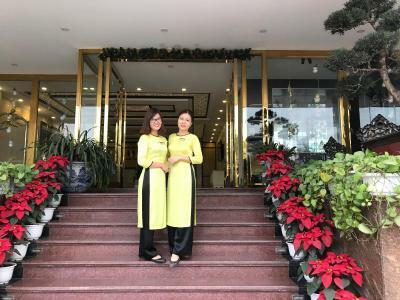 When would you like to stay at Ha Long Park Hotel? This twin room features a electric kettle, air conditioning and sea view. This double room has a mini-bar, cable TV and electric kettle. This family room features air conditioning, mini-bar and electric kettle. This suite features air conditioning, mini-bar and electric kettle. 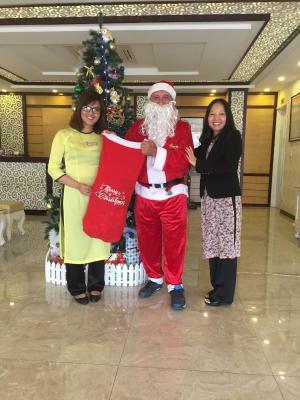 House Rules Ha Long Park Hotel takes special requests – add in the next step! Debit card Ha Long Park Hotel accepts these cards and reserves the right to temporarily hold an amount prior to arrival. Ha Long Park Hotel accepts these cards and reserves the right to temporarily hold an amount prior to arrival. Please inform Ha Long Park Hotel of your expected arrival time in advance. You can use the Special Requests box when booking, or contact the property directly using the contact details in your confirmation. Depending on what you are looking for but for us the location was ok but not great, about 30min taxi to ferry which costs 220 000 and slim to none restaurants. Vivian at reception spoke excellent English and kept in contact with us via whatsapp before we even arrived, she was very helpful...lovely touch. Very happy with the room, comfortable bed with a free snack everyday and available snacks to purchase if desired was available in the room. Breakfast was far better than most places stayed. Ha Long bay tour was excellent but for us the authentic Bai Tu long bay half day tour with Ha was 10/10, our guide Ha spoke excellent english and the rustic boat ride, cave and bbq on the private beach was top notch. Location was a bit out of the way, was woken up by some sort of ceremony going on at the nearby park at 6am one of the mornings I stayed and struggled with choice of restaurants in the area a bit too. None of which is the hotels fault just something to consider when booking for future guests. 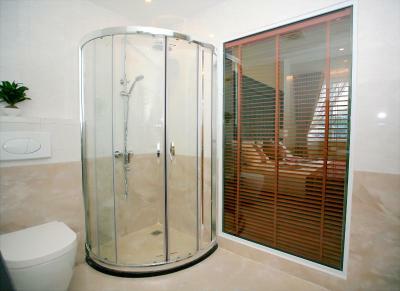 Nice clean rooms and powerful shower. Beds were comfortable too. The hotel is very new ! Clean and quiet. 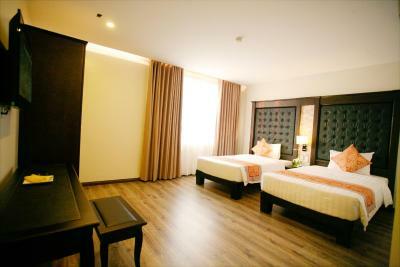 Comfortable bed, good breakfast and very nice staff. 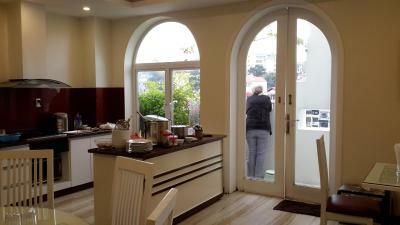 Within walking distance of market and shopping centre as well as the very good museum nearby. breakfast was very basic, with eggs, little sausages and bread or a Vietnamese choice. Position is not the best to see Ha Long bay. Very nice hotel, with helpful and kind staff. 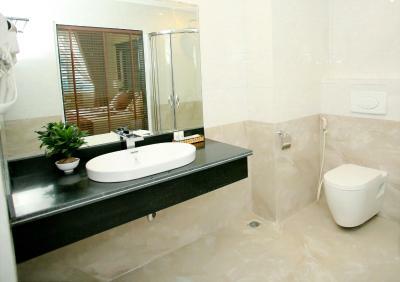 Very clean room with a beautiful view, modern style, very good bathroom. Unfortunately, the negatives outweigh the positives in my experience. Although the staff were attentive and friendly, the communicative and organisation (in terms of tour booking and pretty straightforward questions) skills were below par in comparison to the other receptionists we encountered in our trip. The location’s detriment is that there are no firmly established restaurants or easygoing transaction/ATM facilities nearby. The MOST IMPORTANT negative aspect of the hotel to me was the additional cost of very rudimentary ammenities. About 2 kilos of our laundry to be washed cost us 320,000 dong (~$20 Aud) and they charged us nearly $10 for using the small “complimentary” tubes of shower gel and shampoo, and other items from the room (minifridge drinks) were overpriced even for a hotel minifridge standard. Booking tours and transport through the hotel was unreasonably pricey too. The free breakfast seems like they used a bare minimum approach to be able to advertise the ‘free breakfast’ label on booking websites, as it was decently tasty, but pretty mediocre in terms of choice, quantity and quality (it’s one lady cooking some eggs and bread or a basic seafood dish) on the 7th floor, along with sache coffee... Finally, though not too big of a deal, the air conditioner didn’t really condition but rather just blew out room temperature air. 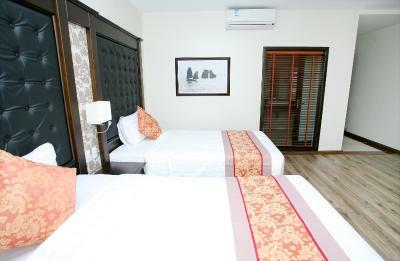 The room was in quite pristine condition, with fairly good soundproof walls, a fragrant smell and comfortable beds. 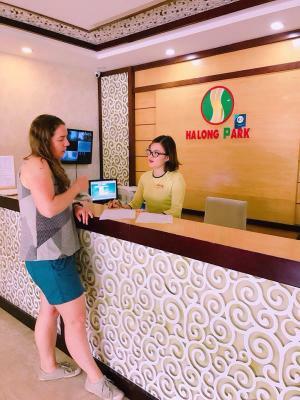 The location is somewhat convenient, depending on what you intend to visit in Halong (ideal location for basic exploring, parks and clothing/small convenience stores. Some noise from the hotel being extended but once finished will be so quiet there. Front desk staff super helpful and very polite. Location in very quiet area with good access to Poem mountain for views across the bay. The only problem when travelling in Vietnam is the communication because most of them are speaking in their native language. Front desk are very friendly, very accommodating and able to speak English. Grab cannot trace the hotel location so you need to the map or set it with the road name to be able to reach to the hotel. Room is excellent especially the bathroom. They have simple breakfast that you feel that you are home. There was building next door and the management never told us before we checked in. I understand that you cannot change this, but you can at least inform guests of the inconvenience. The building had started by 7am and lasted until 7pm some nights - this was very disturbing and unpleasent. The breakfast was included. A menu to show what was available would have been nice considering no one spoke English, instead of a grunt and bowl of soup shoved at you. What really upset me was two days later others showed up for breakfast and the eggs toast and bacon was flowing! It didn’t leave a warm fuzzy feeling with me or my wife. Great location across the park from Vin Plaza. 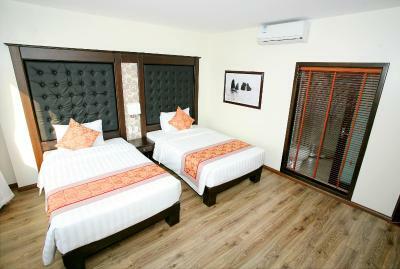 Spacious rooms, very comfortable bed if you like them hard (which we do). Staff have limited English but try hard to please. Good value for money. 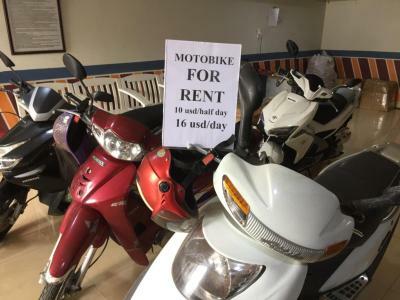 + Location was not ideal + Building next door was very noisy + Air conditioner was very noisy - if you in Halong bay - don't stay at a hotel - go stay on a boat, there is not much to do in Ha Long Bay - lots of future potential though with all the building going on.